Given the alarming trends in climate and other environmental patterns, OISCA is committed to disseminate the information on ecological changes and propose the ways to minimize the damages that Humanity and Earth’s life system at large are projected to suffer. 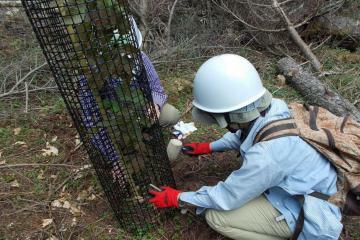 On May 31 (Saturday), a total of 190 volunteers gathered at the 1,500 meter elevation of Mt. Fuji to participate in the annual event organized by OISCA International of maintaining the Reforestation Project Site in Mt. Fuji. 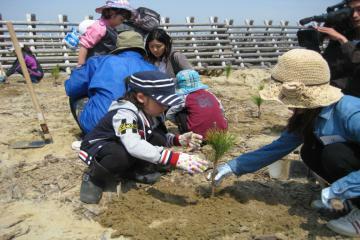 OISCA and the Association for the Coastal Forest Restoration in Natori City, a group formed by the disaster-affected local farmers, held a tree-planting ceremony on May 24 on the Natori coastal area, which was severely devastated by the Great East Japan Earthquake in March 2011.